I haven’t made a MAC purchase in a long while, but when MAC released the Art of the Eye collection, there were two eyeshadows that caught my attention – Hajar Karim, and Farasha. 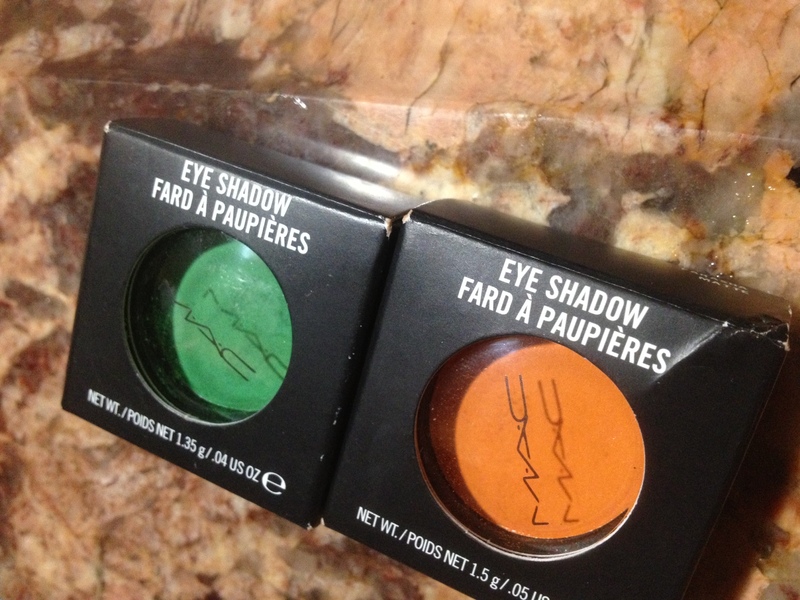 I’ve been on the lookout for the perfect grassy green, which MAC describes Hajar Karim of being, and a good orange eyeshadow to replace my MAC Orange, which I wasn’t happy with. Hajar Karim is a veluxe eyeshadow, which I didn’t even realize until I looked at the packaging, especially since it comes off more as a matte. It’s a nice shade of green, I’d say forest green. It’s easily become one of my favorites to use this summer. I’ve had no issues with the application of Hajar Karim. I’ve used it over the UDPP, a white base (NYX Jumbo Eye Pencil ‘Milk’, and with my Stila Prime Pot. It blended easily over all three, and improved the color pay-off; however, to improve color saturation (pay-off), remember to pat on the eyeshadow instead of applying it in a sweeping motion. You can also dampen your brush with Fix+ or another spray like Mario Badescu Facial Spray with Aloe, Herbs and Rose Water (read review) to obtain a better color pay-off when applying the eyeshadow. Farasha is a bright, medium-dark orange with a matte finish; I love matte finishes. 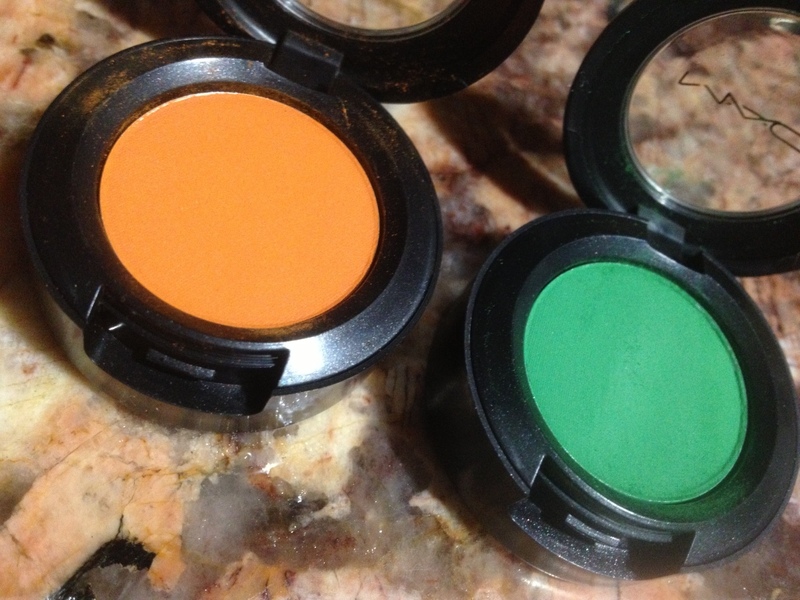 When compared with my MAC Orange eyeshadow, the color pay-off is much better; however, it is not as red or as dark. I did use it with the same three bases as mentioned above, and I’m happy with it. I’ve played with both Hajar Karim and Farasha to create various looks. 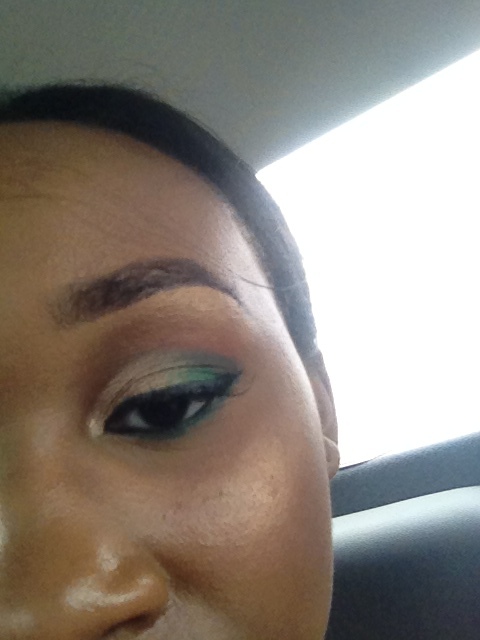 My favorite way to use Farasha is in my crease. 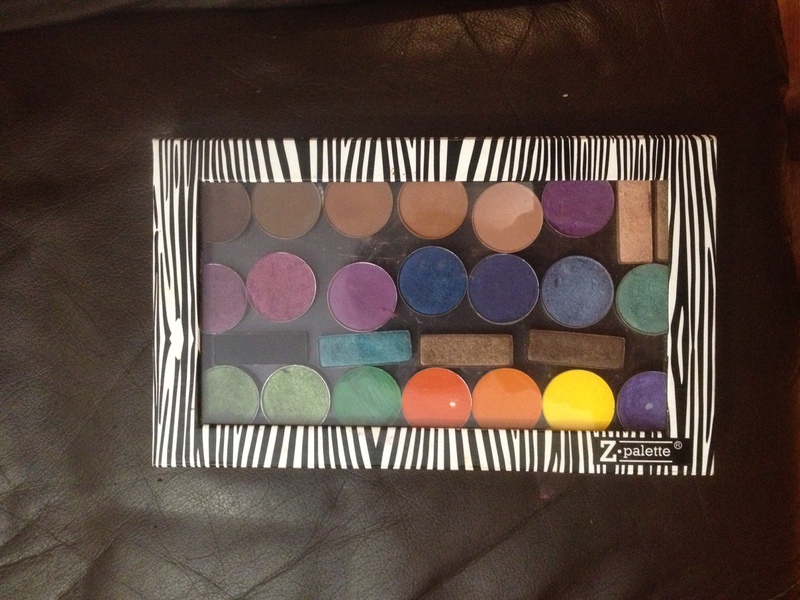 Eventually, I de-potted both eyeshadows, and placed them in my z-palette. I love how you used the colors! A little too pumpkin-y for me but when you applied it to your eyes, I barely thought of it. Also love your lippie! 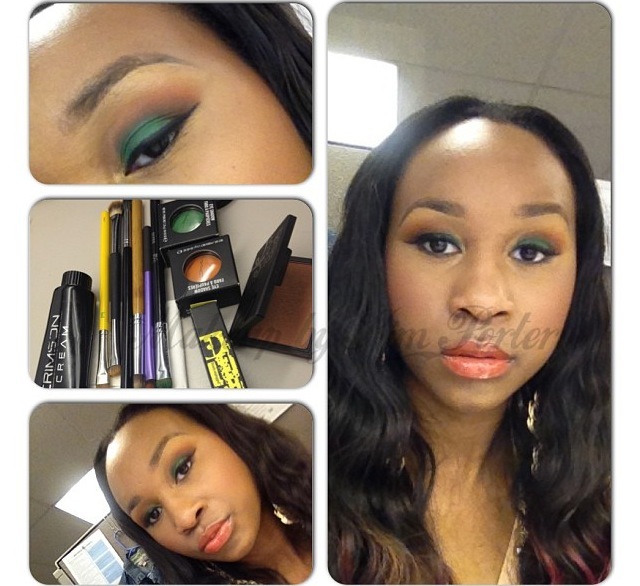 Really pretty I like the combo of the green with your lip color. Thank you. That orange is like my faaaave! Wow such great colors! They look awesome on you. Not sure I can pull the look off. Orange makes my skin look sickly! Thank you. 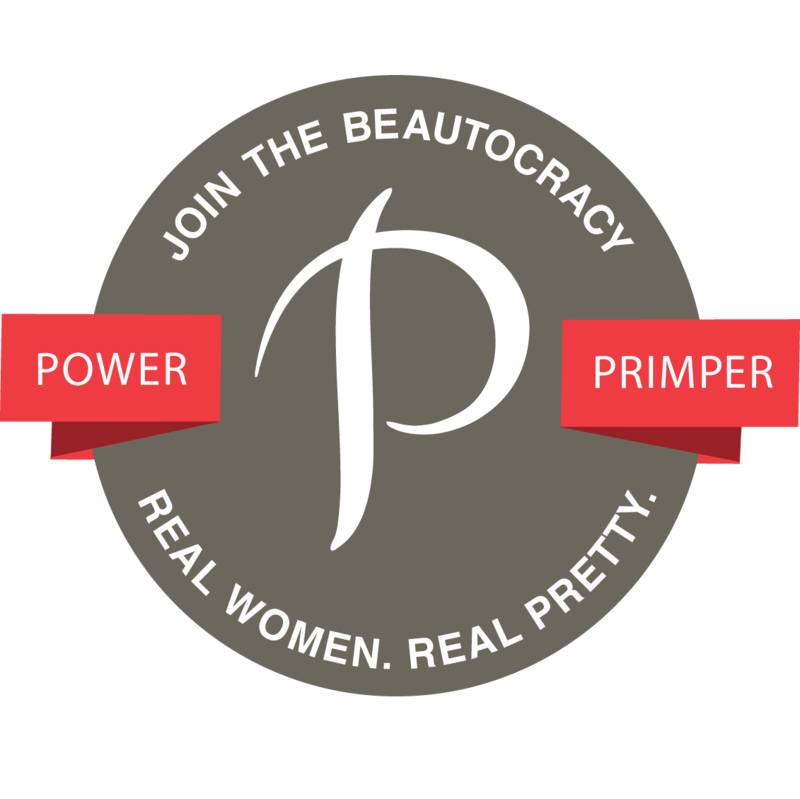 Maybe a different orange or use a little of it and more of a color that's more flattering on you? Gosh those colors are BEAUTIFUL! It's been a quick minute since I've been to mac but I need to see the green one. I love the look you created!!! That green! Wow! love the look you came up with! They would have been perfect halloween colours.